When we consider any development, we determine the most environmentally responsible and resource-efficient way to maximize a building's life-cycle. 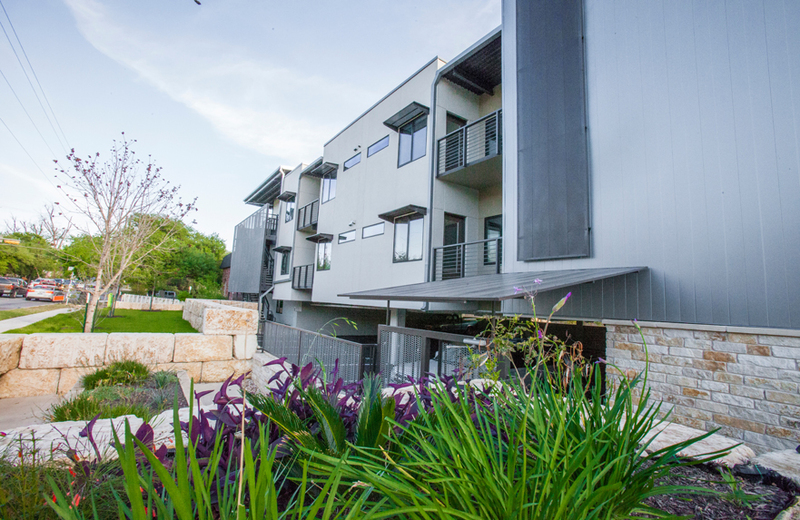 By utilizing recycled products, focusing on energy reduction and addressing occupant health prior to building, we are able to construct award winning developments that are changing the way Austin is built. It is our responsibility to produce forward thinking, efficiently designed structures. By challenging ourselves to use locally sourced, recycled, sustainable materials as much as possible, we become good stewards of the land, and the result is that we build better buildings. When you focus on the advancements in construction materials, new technologies, and incorporate them into engineering and pre-planning, you get a Capsa Ventures building. We develop buildings that provide maximum efficiencies, reduce lifetime energy consumption and source sustainable materials, leaving you, the end user, a truly green building. Capsa Ventures was formed by Rance Clouse (CEO) in 2014 as the evolution of multiple Austin real estate developments which began in 2004. In an industry where "greenwashing" is often misrepresented as green building, Capsa has been proactively changing the way Austin is built. With a commitment to build responsibly and sustainably, each new project builds on the prior ones, raising the bar on green development. From solar panels to rain water collection systems and comprehensive use of recycled and recyclable materials, every Capsa community has been more sustainable than the last. As Capsa expands into building homes, light industrial and storage facilities, Capsa's team relies on the forethought and planning derived from "eco-engineering and design" to ensure every project challenges the industry status quo. FOURTH& - Groundbreaking for Fourth&, Capsa Ventures’ newest and most dynamic mixed-use project started construction late Spring 2016 with completion in Spring 2018. This 5-Star Austin Energy Green Building brings Texas sized micro-lofts to Austin for the first time. The project includes 600 solar panels for residential units, concrete construction and steel framing throughout the building. Developed by a team of Austinites, Fourth & embodies the artistic, charming, diverse, and informal vibe of East Austin. Pease place is a residential community nestled within the historic Old West Austin Neighborhood, selected by the American Planning Association as one of the 10 Great Neighborhoods in America. Carefully engineered and meticulously designed to offer the best in renewable living, Pease Place is an efficient building that integrates quality and innovation. Towns on Cumberland is a new residential community comprised of thirteen townhomes-style condominiums and is located just off of historic South Congress Avenue in Austin’s incredibly popular 78704 district. At Towns on Cumberland you can relax in your new home while still enjoying the vibrant and active lifestyle you desire. Situated in a quaint downtown neighborhood, 904 West elevates the urban experience by combining authentic sustainability with eco-conscious living. 904 West embodies quality construction and distinctive architecture, by Charles Fisk Architecture. 904 West is steps from Duncan Park, Whole Foods and the HomeAway world headquarters. Explore the possibilities of combining your live & work lifestyle. For any inquiries or questions, please call (512) 464 1255 or fill out the following form.